Back for a second helping. Yes, Tartan Druim will be featured on the 5th Annual Chefs on Tour, presented by Central Oregon Builders Association (COBA) on Wednesday, July 12. 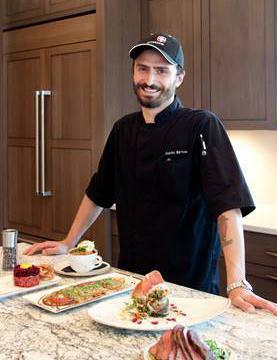 The Tour offers a unique way to experience some of Bend’s exceptional cuisine in some of its most exquisite kitchens. This year, guests are invited to visit seven different homes, all located just a few minutes apart. In Tartan Druim’s spectacular kitchen, Chef Justin Birtola of The Row at Tetherow will be serving up a delectable Anderson Valley braised lamb neck with chayote chipotle BBQ and red beet kraut. It will be accompanied by a mint julep gazpacho and paired with a refreshing beer from Bend Brewing Co.
To add a dash or two of excitement, Chef Birtola will be competing to be the Tour’s Top Chef and Tartan Druim will be vying for the honor of the Chefs on Tour’s Top Kitchen. After winning Best of Show (and other awards) in our category on the 2016 Tour of Homes, we like our chances. No matter how you slice it, Chefs on Tour is a satisfying way to get a preview at the Tartan Druim model before the Tour of Homes begins. Tickets for Chefs on Tour cost $39 (or $35 for COBA members) and are very limited. Call COBA at 541-389-1058 or order online at www.coba.org to secure yours. If Chefs on Tour isn’t in your plans, the annual Tour of Homes will give you six days of free Tartan Druim viewing opportunities over the next two weekends. With all the construction going on in Phase I, as well as at Tartan Place, our soon-to-be-completed community center, you’ll know instantly what a special neighborhood it is becoming. 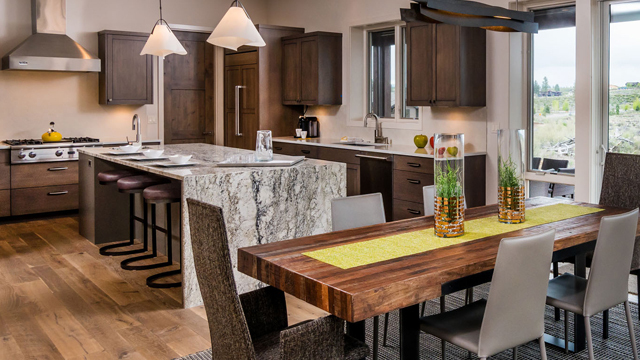 A variety of one- and two-story homes are capturing the essence of Bend’s relaxed Northwest lifestyle and adventurous spirit, not to mention stunning views of the Cascades and David McLay Kidd’s award-winning golf course. Twenty home sites ranging from just under ½ to over ¾ of an acre offer plenty of breathing room, in addition to easy access to endless recreation. And we’ll make sure that access stays easy by handling the routine landscape maintenance for you. Don’t miss your chance to get a generous taste of Tartan Druim next week. After the two tours, it will be the property on everyone’s lips.